Our NEClimbs and White Mountain Report 2018/2019 individual fundraiser is officially over. Without YOUR direct contribution, I simply wouldn't be able to maintain and update the site and put out a weekly newsletter like these. THANK YOU once again for your generous support. 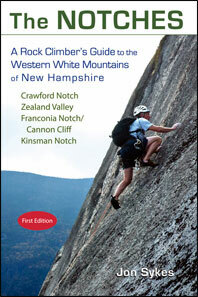 Do we really need another guidebook for the White Mountains? From what I see I would have to answer that in the affirmative! 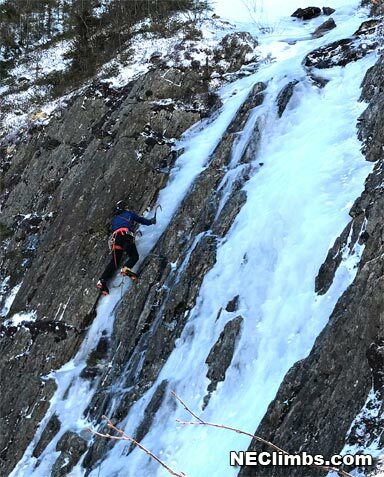 This area has a variety of routes that cover the gamut of hard vertical ice to overhanging to full-on mixed climbing. Definitely a place to get a pump. Many of these climbs are toproped, but try not to beat them to death, there ARE folks who can lead these things! 123 ice routes from 12 areas. Instead of sport climbing I go bouldering. It's pure, and basically impossible to cheat. Bolts can't be used to manipulate the experience. Sure, I sometimes take a thicker crash pad but I still have to take the fall. I don't know what other folks will do, but this was my last ice climb of the 2018/2019 season. The White Mountain Report is a weekly email newsletter that provides you with the most up to date information about rock and ice climbing in New England. To get it delivered to your mailbox every Thursday all you have to do is SUBSCRIBE. It's fast, painless, and best of all it doesn't cost you a dime! No upcoming events available. If you have an event, please sent us an email and we will be happy to list it. Here are some thoughts about real climbing books, not guide books or collections of short stories.